With so many different types of material combined with such a wide range of laser types and technologies, finding the right laser for your marking application can be a bit of a minefield. Here are five critical areas you should focus on before making your decision. 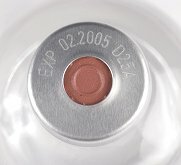 On paper, power determines the speed of laser marking. Some materials simply won’t mark on too low a power. If throughput is a priority, other issues come into play. For instance, the spot size increasing and causing a loss of resolution. Factors such M² (beam quality) and spot size create their own complications. The spot size is determined by lens configuration and expansion matrix. The bigger the spot size, the lower the energy density per mm sq. So power is spread over a wider area. The result is that a 10W laser could have a higher energy density per mm sq. simply because of the optical set-up than a laser with a higher power. Peak energy also needs to be considered as manufacturers mainly quote CW (Continuous Wave) power. This does not take into account peak energy. As an example, a 10W Vanadate laser will have a higher peak energy than a 10W fibre laser but the fibre laser will be cheaper to run. At the end of the day, it all depends on your applications. 2. YAG or CO²? Vanadate or Fibre? YAG or CO²? Vanadate or fibre? And what wavelength – IR 1064, green 532, UV..? For a high proportion of applications, fibre seems to be the preferred choice of today. It may not have the same beam quality of YAG or Vanadate but, with its long pulse width and larger spot size, it can anneal stainless steel. However, if a dark mark is required, Vanadate with (its higher peak energy) is superior in terms of marking, time and power saving. With its lower purchase cost, CO² is a tempting option. For metal marking, it does require potentially expensive additions. But for organic materials – wood, rubber, acrylic and plastic markings, it is the economical answer. The key to your laser system choice is your application. With TLM Laser’s huge library of materials and components, we can ensure you choose the laser configuration that’s perfect for your needs. Yet again it is your application requirement that dictates. Most manufacturers offer a 100mm sq. marking window as standard. TLM offer 290 mm sq. as standard and 560mm sq. for special applications. There is, as ever, a trade-off. As the mark field increases, so does the spot size. So a more powerful laser may be needed to cope with a larger field size. The addition of Intelligent Mark Positioning (IMP) can make a major difference to your ultimate choice of laser. 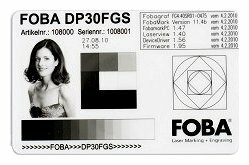 Our product partner, FOBA, has developed IMP technology using a combination of integrated (through the lens) vision and single platform software to ensure unbeatable marking accuracy. To ensure your laser operates efficiently and with optimum productivity, it is essential you have access to reliable technical support. TLM has many years’ experience in working with the laser service industry. With nationwide cover, our team of highly trained engineers are never more than 2-3 hours from you.